There are now more people of Tokelauan descent living in Hawaii than in the tiny island nation, which is threatened by rising seas. 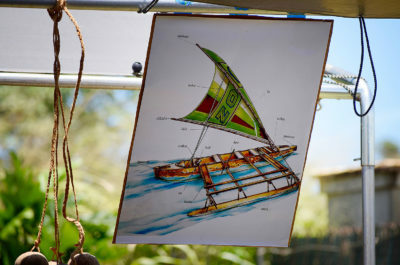 In a Wahiawa backyard, where there are coconuts on coconut trees and the sounds of roosters splitting the air, a bespectacled man draws a picture of a vaka — canoe — built the Tokelauan way, with cords of natural fiber stitching together its wooden parts. Tokelauan kids and teenagers born and bred in Hawaii copy his sketch, documenting the wisdom of their ancestors that this man, Vasefenua Reupena, carried across the ocean. 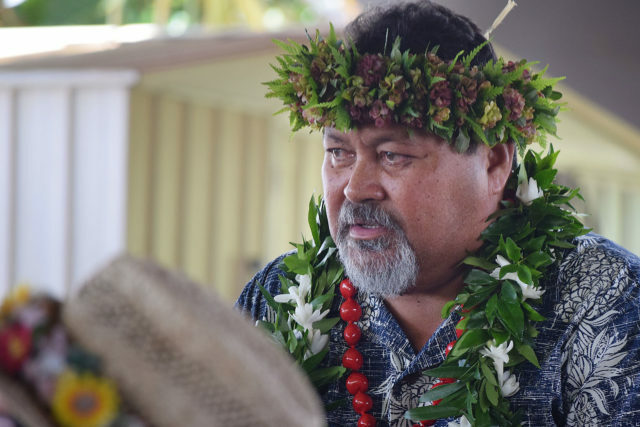 He is the last master carver of Tokelau, a tiny nation located about halfway between Hawaii and New Zealand, where people carry New Zealand passports and New Zealand is responsible for defense. Though his art is ancient, his work is anything but; in fact, it’s increasingly urgent. Master carver Vasefenua Reupena arrived recently on Oahu from Tokelau to work on a traditional canoe as part of a language and culture revitalization initiative run by Mililani-based nonprofit Te Taki. On atolls like Tokelau, where soil is sparse, the vaka represents life. People use it the way Americans use cars and buses: to get to work and put food on the table. 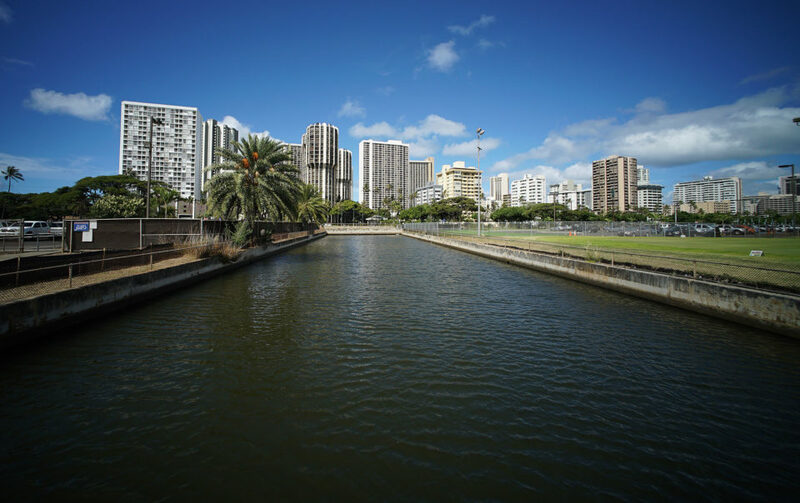 The vaka recalls the richest voyaging tradition in world history, popularized in recent decades by the Hawaiian voyaging canoe Hokulea, and the resilience of island people that must again be rearticulated as sea level rise threatens the very existence of their homeland. 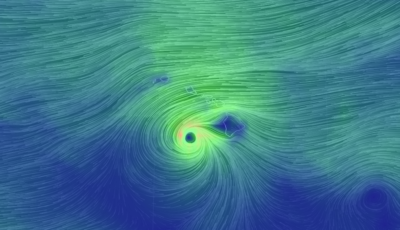 Reupena and his two sons will be on Oahu for three months, building a vaka expected to be in the water by Labor Day. 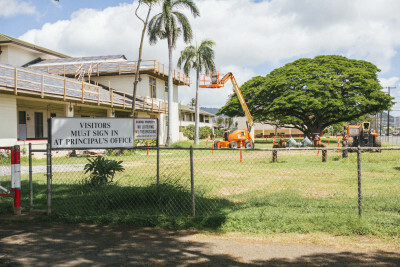 Funded by the U.S. Administration for Native Americans (ANA), their project is being managed by Te Taki Community Training & Development, a Mililani-based nonprofit organization established in 2004 to perpetuate the language and culture of a Pacific Island nation most Americans, including many in Hawaii, don’t know exists. The vaka is being built not only to unify the diaspora here, reminding its members that Tokelauans have always survived the odds, but also to teach America that Tokelau exists — and that it is sinking. 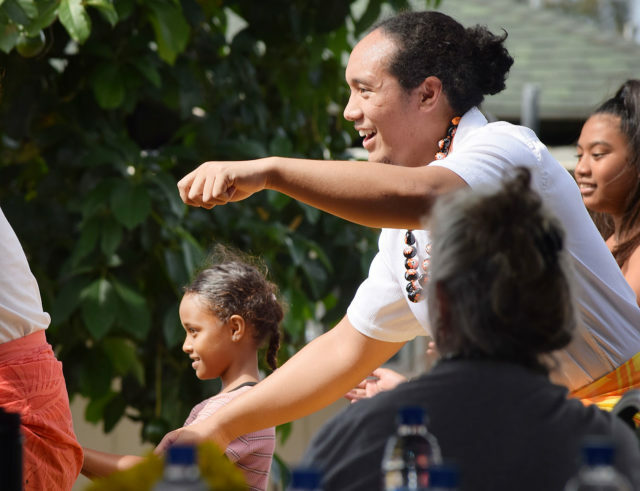 The welcome reception for Reupena — an emotional affair marked by dancing, singing, and togetherness — was the closest many Tokelauans in Hawaiian come to their homeland in years. “One of the things that we find really challenging around talking about climate change is that people don’t really have any sense of small atolls — even here in the Pacific,” says Dr. Akiemi Glenn, a linguist who worked with the Tokelauan community on revitalizing their language for 12 years. In Pasini Fihaki’s imagination, Tokelau occupies a lot of space. 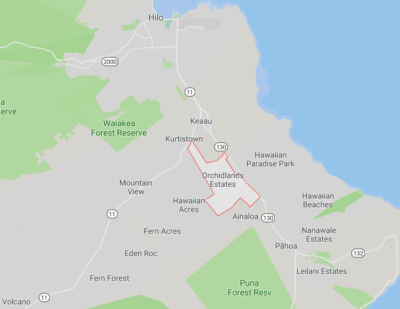 It takes days, planes, cars, and a boat to reach her grandparents’ island nation, located nearly 2,300 miles southwest of Hawaii, and the 28-year-old has never been there. Hers was one of many families displaced when in 1953 an American businessman quashed an uprising of plantation workers by ordering a mass eviction, then seeking an executive order to confirm his ownership of Olohega, their island. Since then that island, which is culturally Tokelauan, has been known to the world as Swain’s Island and administered by the U.S. as part of American Samoa. Fihaki’s grandparents arrived on Oahu with U.S. passports and little else. 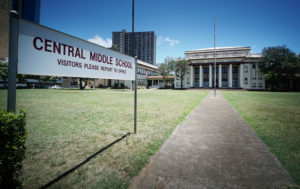 They settled in a mostly Samoan community in Wahiawa and spent their lives cleaning and stocking shelves at Schofield Barracks to support their children and grandchildren. 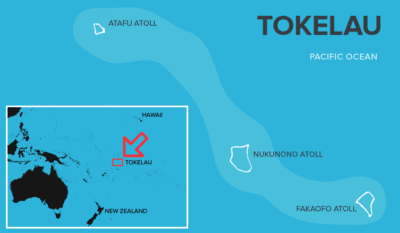 Tokelau is a tiny island nation located halfway between New Zealand and Hawaii. 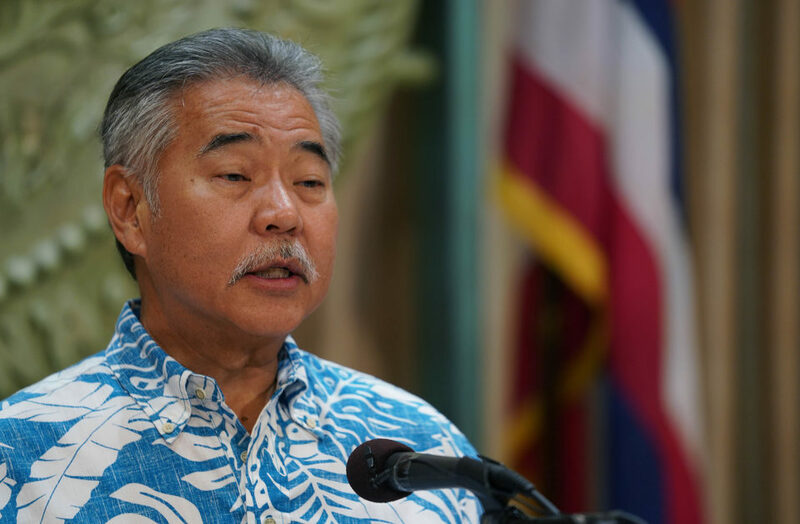 Many Tokelauans in Hawaii come from the small island of Olohega, which is part of American Samoa. When her grandmother died, Fihaki felt motivated to know more about Tokelau. She signed up for language classes through Te Lumanaki o Tokelau i Amelika, a program run by Te Taki in a room on the bottom floor of a walk-up. Years later, Fihaki works there, managing media and teaching the language of a place that’s shaped her life though she’s never seen it. 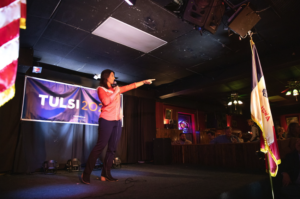 In many ways, hers is a classic child-of-immigrants experience. What’s not typical is that scientists foresee the place she dreams about being underwater within her lifetime. 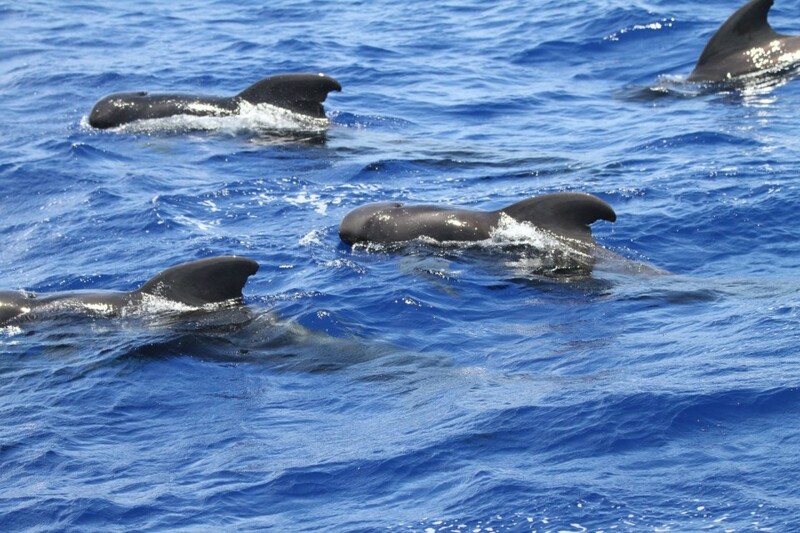 For the Tokelauan diaspora in Hawaii, Te Lumanaki is a haven. Founded in 2004, it’s executive director is Sania Betty Ickes, a Tokelauan who grew up in Wahiawa. The language school seeks to preserve the distinct culture and worldview of Tokelau. Its walls are hung with Tokelauan crafts, words, numbers, maps, and patterns. 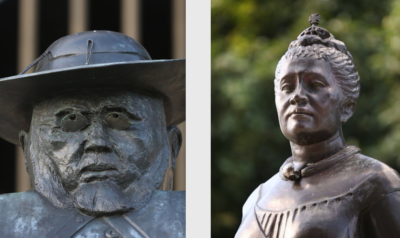 It’s a place where Tokelauans can connect with an island that’s no longer theirs and a culture that is. That journey is of renewed importance, given rising seas could force Tokelauans off their islands for good. 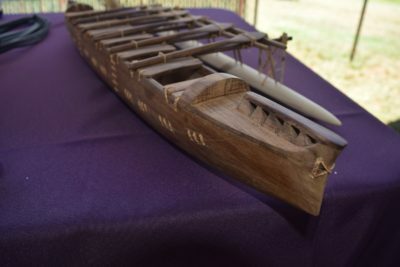 A miniature model of a Tokelauan canoe constructed in the traditional way, with cords of natural fiber stitching together wooden parts. Considered the last remaining practitioner of his art, Reupena has been invited around the world to share his knowledge. 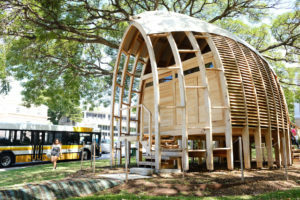 In 2008, he put on an exhibition for the Beijing Olympics; in 2013, he went to Porirua, New Zealand, where he built a 36-foot canoe that later won the New Zealand Heritage Arts Award. He’s also taught workshops around the Pacific. Wherever he goes, he brings a set of 200-year-old tools and a repository of wisdom even older. 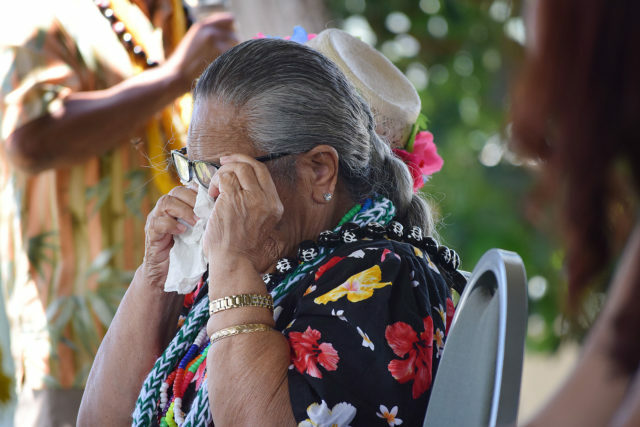 At a welcome celebration for Reupena and his family in late June, Tokelauans from Tokelau, New Zealand, Australia, and the U.S. gathered near the construction site. Community members participate in traditional Tokelauan dances at a welcome reception for Rupena. Among the crowd were babies, Army personnel, and pastors, as well as a woman who will turn 100 this year. Some of the older people there hadn’t made the $2,000 trip to their island in decades. Their celebration featured prayers, songs, dances, group photos, lots of food and tears. Paul Pedro, who grew up on Oahu and will be overseeing the construction project, spoke to the group about how the vaka symbolizes and enables the resilience of people and culture. He talked about how members of a diaspora often and easily drift apart, and how the vaka project intends the opposite effect. Reupena explained in an interview that the vaka represents something time-tested and true: the survival of a people. A Tokelauan canoe displayed on a poster. The people of atolls and islands face an uncertain future. The descendants of the world’s greatest navigators confront another navigation. While the story of sinking islands is bleak, the joy expressed through music, laughter, and community at Reupena’s reception felt important. For more information about Te Taki and the project, visit tetaki.org. 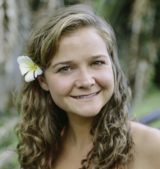 Rachel Reeves is a Honolulu journalist, writer, and editor with experience and roots in California and the Cook Islands. 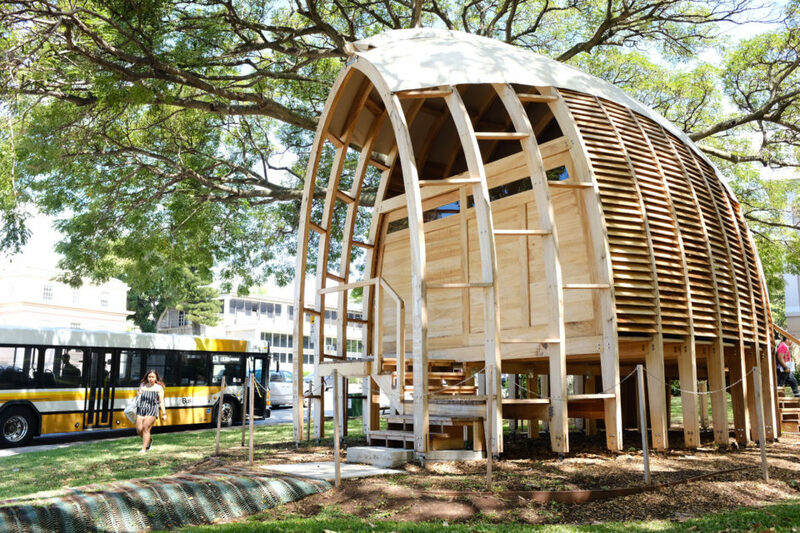 She recently completed a Master's in Creative Writing at UH-Manoa. 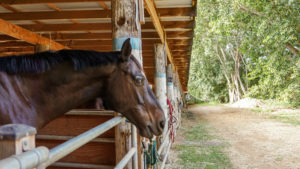 She can be reached through rmtreeves.com.